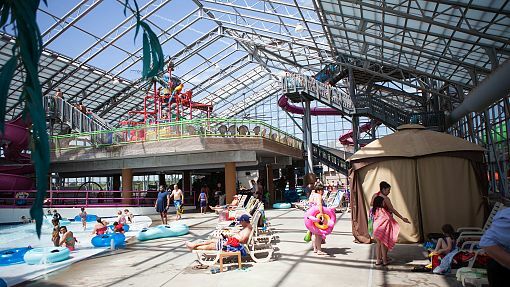 Water-Zoo’s retractable roof opens when the weather is nice for that fresh, open air feeling. 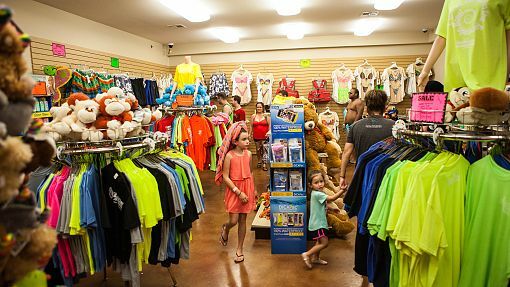 And as you can see, the Water-Zoo is located just off Interstate 40, so it’s impossible to get lost trying to find the place. We have three four-story waterslides. One of which is a body-slide and two are tube-slides. One of the tube slides features an outside Tornado-Bowl. 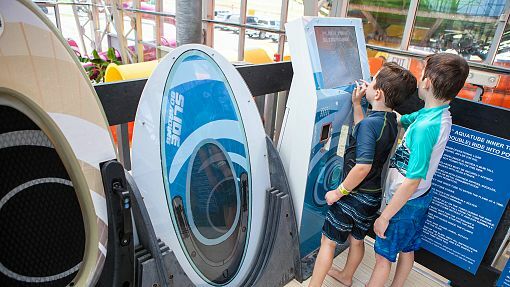 Water-Zoo has the only Slideboarder within 500 miles radius! 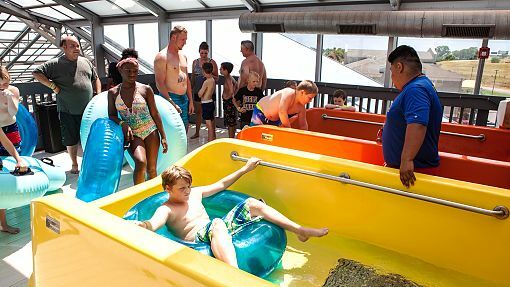 It’s a waterslide combined with a video-game. Track your score online with other users nationwide. 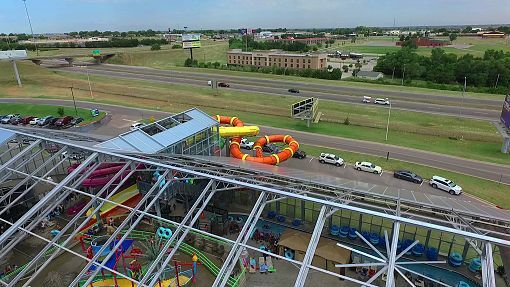 Younger kids can enjoy three mezzanine waterslides of varying length. 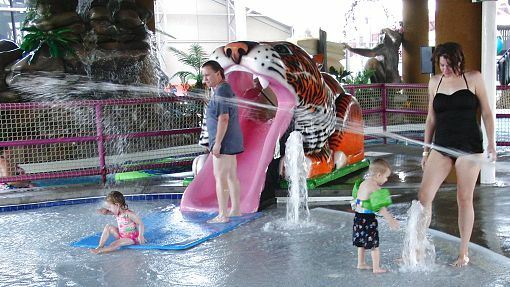 The littlest ones can enjoy the Tiger Slide and splash pool at the Cub’s Cove. 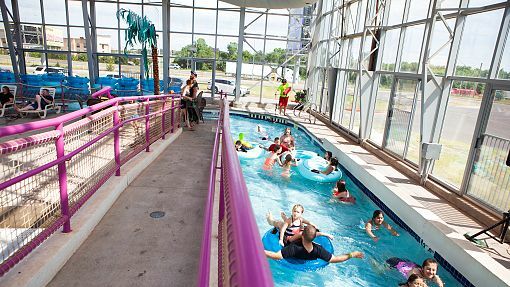 Our Activity Pool is not only popular, but also handicapped-accessible. 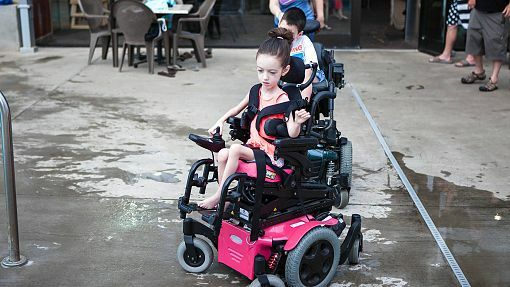 Speaking of the handicapped, Water-Zoo is fully wheel-chair accessible! 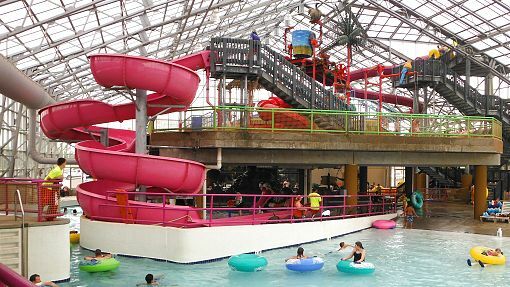 The Wave Pool may seem placid at first, but every few minutes, the surf is automatically turned on. 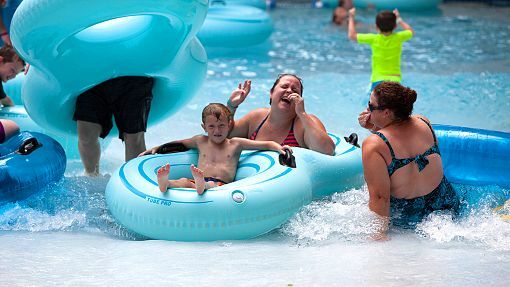 Our Lazy River surrounds the water park and at 400 ft. long it’s longer than at some of the larger water parks down south! 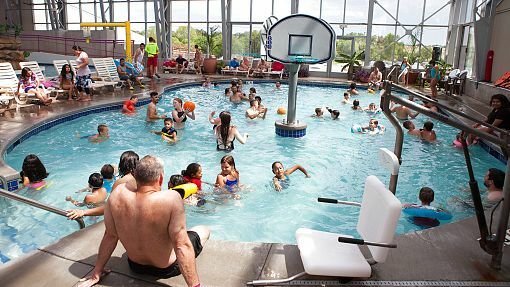 If you don’t feel like splashing in water, you can lay down on our lounging chairs or rent a private cabana! 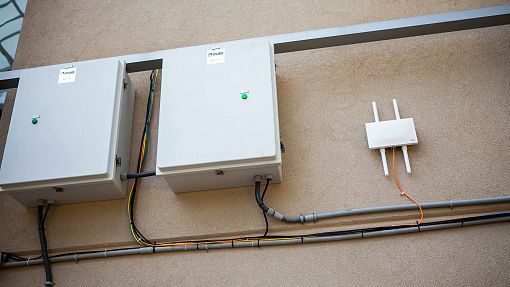 And while lounging, you can enjoy our excellent Wi-Fi, fed by fast fiber-optic connection. 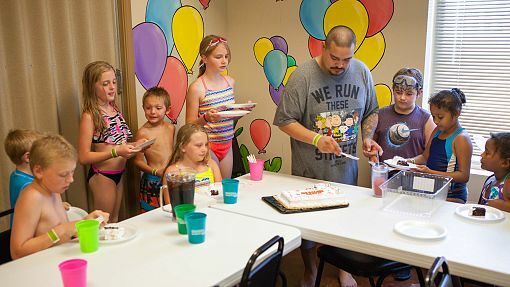 Treat your kid to the ultimate childhood coolness of a birthday party at water park! The party rooms partitions can be pushed aside to create a large, connected space. All this excitement can make you a bit hungry. 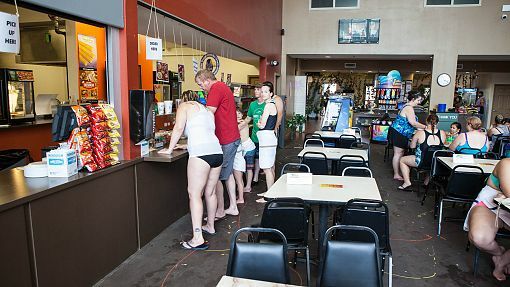 Our Food Court has plenty of traditional and healthy choices and is fully cashless so you can just jump out of water and buy your food or drink. Water-Zoo is a popular place, which is why we installed plenty of lockers for you to keep you belongings in. Forgot to bring something? Or want to buy a souvenir as you leave? We have a well-stocked gift shop. 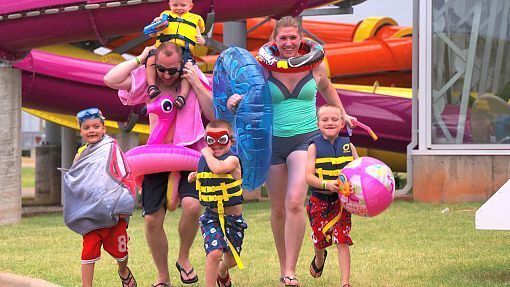 We hope to see you soon joining the fun at the Water-Zoo! Book online, or call us for more details.